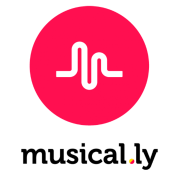 Hey, In this service I will provide you 5000 musically likes with 5000 musically fans plus some comments on your musically profile. Your profile needs to be public. The service is 100% guaranteed so you can be fully sure about the results. We are the only one is the entire industry that provides real musically services. The likes and the fans will be delivered within 2 hours. Place the order right now so that we can get started and you can increase your fame. We don't need your profile password. We just need the username. So it's a win-win situation for you from all the sides.